US Airways has announced another return of their 100% Bonus Dividend Miles promotion for Dividend Miles members purchasing miles online between 1st and 30th November 2012. Favoured for its comparatively-generous avoidance of so-called ‘YQ’ fuel surcharges, many travellers consider Dividend Miles redemptions to be some of the best-value frequent flyer awards in the sky. For full details, log on to Dividend Miles between 1st and 30th November 2012. Back again! US Airways have announced the return of their 100% Bonus Dividend Miles promotion for Dividend Miles members purchasing miles online between 1st and 30th September 2012. For full details, log on to Dividend Miles between 1st and 30th September 2012. 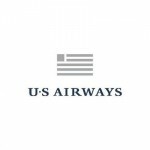 US Airways have announced the return of their popular 100% Dividend Miles promotion for Dividend Miles members purchasing miles online between 1st and 30th June 2012. For full details, log on to Dividend Miles between 1st and 30th June 2012. The Airbus A320-operated US Airways flight from Las Vegas to Phoenix is scheduled to take just over an hour and, invariably, is over with in less. This makes the differential between Coach and First at the booking stage frankly ridiculous. Coach prices at $69 plus tax (including seat pre-selection); First at $423 however, like many North American carriers, upgrades are available at the gate. They are also available at On Line Check In for $50, so it doesn’t take a rocket scientist to work out the strategy here (or to understand the completely goosed business model). The one snag with the 24-hour before take-off On Line Check In upgrade is that the website does not accept non-US credit cards for this particular process. A quick phone call is required and it’s a simple and efficient job. We don’t have the pick of seats, so end up slightly separated, but at least FCC and MCC are together in row 4. I’m in 3A. Print Your Own Boarding Pass works flawlessly and bag drop at Las Vegas is very efficient. Upgraded Coach to First seats like these do not attract a bonus for Frequent Flyer Programme point accrual, and there is no lounge access. The Priority Pass lounge happens to be the US Airways Club however and is to be found landside, just to the right of security, next to the Airport Job Centre and through a very unprepossessing door. There is free WiFi throughout the airport, and the friendly lounge dragons will also make announcements. It’s hardly a spacious facility but it’s separated into two areas, there’s a TV, the airport’s wifi (no PCs) telephones, free tea, coffee, soft drinks and snacks, and a cash bar. To be honest, it’s perfectly serviceable as long as you’re not in for a long delay. Re-entry is easy if you want to wander the shops or have a last poke on a slot. First, Business and Fast Track security occupies the lane closest to the lounge and is reasonably swift. Beware however that this lane also handles special assistance pax and the staff lane is also controlled by the same security team. This can lead to the odd delay, but nothing to speak of and you should be on your way in no time. The walk to the gate is only a few minutes too, with more shops and slots on the way. Boarding is announced by assistance, class, status and then row number. Frankly, it’s still a scrum. The flight itself can be described thus: Filthy, Take Off, Uncomfortable, Land. Seats are ‘proper’ non-convertibles, leather faced (although I would not have liked to see the state of the cattle when they were alive) and absolutely knackered. Service is a free drink from the bar and a grimace. Oh and a bag of crisps. The best thing to be said about the whole experience is that (having come back for more of this several times) the pilot appears to be in charge and the structural components of the aircraft remain attached in the right sequence for the duration of the ordeal. I mean flight. It gets much better when we hit terra firma however. Touch down to baggage being on the belt is in 17 minutes. That includes taxiing and the not exactly short walk to the carousels. I love Phoenix. It gets better as it’s then just a short walk into the desert heat to the Car Rental Centre Shuttle pick up point. This offsite Centre is a fairly recent development, representing all the major chains and with full premium services for frequent renters etc. The whole system seems to still be filled with enthusiasm. Woe betide a passenger who tries to lug their baggage on board – that’s what the driver is there for. He (or she) is porter, driver and guide all rolled into one and it’s a great example of making a superb first impression on visitors. Top marks. Final verdict for US Airways however: an unexpectedly generous 3/10. Dignity was dented and personal hygiene compromised, but they got us and the bags to where we needed to be. Without the 600 Diamond Club miles it would have been a lowly 2/10. No pictures of this flight, as I didn’t want to get the camera dirty.